Kevin Hart is a household name in the US, UK as well as other countries in the world. This is because he is one of the funniest comedians alive and all his shows and movies are breath-catching and blood-curdling. By all accounts, he is one of the most successful American professional actors, comedians, writers and producers. Most fans of the star often wonder if his personal life is as successful and fun as his social life. Let’s see how we can help with the answer to this question. Information about his wife, ex-wife and girlfriends (if any) should attempt to answer the question. Regular readers of celebrity news and gossip should be familiar with the comedian’s relationship troubles. There has been a lot of animosity between the two most important women in Hart’s life; Torrei Hart and Eniko Parrish. Torrei is Hart’s ex wife while Parrish is his current girlfriend and fiancee. If you’re guessing the issue between the two ladies is jealousy, you guessed right. They have been attacking each other on social media but a few months ago, the two appeared to have finally buried the hatchet and accepted the fact that they will always be family. Maybe the man at the centre of the struggle brought them to this realization. Let’s take a deeper look at the lives of these two ladies. Torrei Hart is an American actress, producer and television personality. She has managed to gain a number of fans not only because of her vibrant talent but also her wonderful and friendly personality and veracious independence. She was born on February 28, 1978 (37) in North Philadelphia, US. She studied acting and enrolled at Community College of Philadelphia where she met Kevin Hart. The two lovebirds realized they shared passion for comedy and both had a longing to join Hollywood. This led them to make a joint decision to drop out of college to pursue their career dreams. By 2003, Kevin married his sweetheart in a low profile ceremony. The couple of entertainers were blessed with two beautiful children – Heaven and Hendrix Hart. Years later the relationship started going sour and in February 2010, the two filed for divorce, citing irreconcilable differences with Hart requesting for a joint-custody of their two children of which was ruled in his favor. The divorce was finalized in 2011. One unusual thing about the divorce is that Hart is still unusually close to his ex-wife and still showers her with gifts. The two have been branded Hollywood’s friendliest exes. Just recently after the comedian started dating Eniko, he gave her an expensive and luxurious SUV, a Cadillac Escalade. His simple explanation is that he wants everyone to be happy. 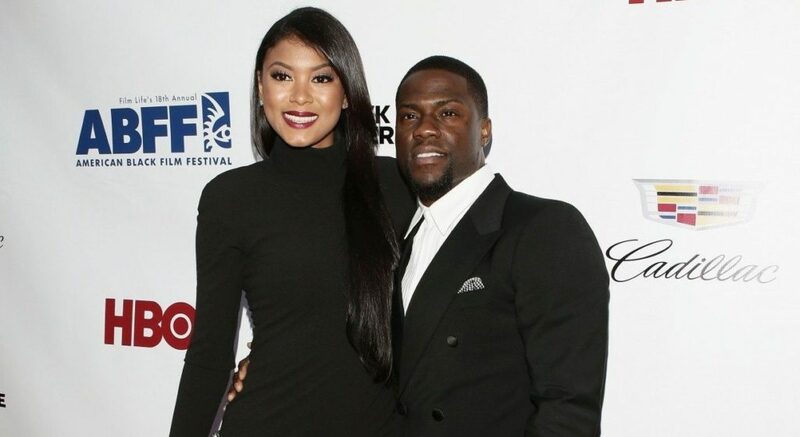 It is not clear but many believe that Kevin Hart started dating Ms. Eniko Parrish soon after separating with his ex-wife or even before. Some, including Torrei, believe that she was the reason for the ruined marriage but her boyfriend has always been defending her from those accusations. Hart’s ex has even branded her a goal digger in a long scuffle the two ladies have been having on social media. The two have been dating for about 5 years and in the time rumors have swirled including one that she was actually pregnant but she strongly denied although she said they both have plans of having kids in the future. Kevin proposed to his girlfriend last August on the damsel’s 30th birthday, a proposal that was readily and happily accepted. The comedian revealed the date of the wedding to be August 8, 2016. He however refused to reveal the details of the wedding as he left the wedding planning to the bride-to-be. I bet everyone is eagerly waiting for the D-day when the famous entertainer will put that wedding ring on the finger of his bride who is an aspiring model.